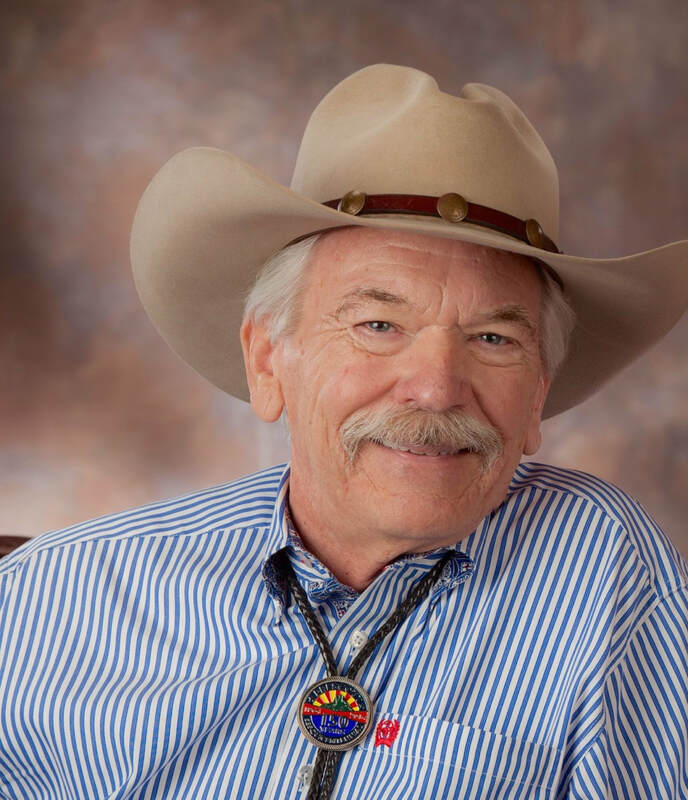 ​A resident of Arizona for 60 years, Dennis has developed a passion for the American West, especially regarding the preservation and promotion of Prescott's rich history and heritage. With a B.S. in Engineering from Arizona State University, Dennis spent over 35 years in the Electronics/Semiconductor Industry. He held positions in engineering management, project management, technical sales, and marketing for companies in the U. S. and in Europe. He started sculpting after he was fifty years old, and is now a local western artist/bronze sculptor who shows his work at Black Arrow in Prescott, and has his work in collections across the U.S. and in Europe. Dennis is also owner of Commemorative Concepts, LLC, a company that is dedicated to providing proven promotional products (including Arizona Centennial and Prescott Sesquicentennial Medallions) for marketing, special events, and for fundraising projects. Dennis has served on the Arizona Centennial (Best Fest) Programming Committee for Prescott, and is an active volunteer for numerous community events. He also served on the Steering Committee for the Prescott Sesquicentennial (150th Birthday) Celebration in 2014. He and his wife, MaryAnn, have been married 49 years, and have been full time Prescott residents since 2007. They are both active members of the the Sharlot Hall Museum, Smoki Museum, Phippen Museum of Western Art, Prescott Frontier Days Rodeo, the Prescott Corral of Westerners, inaugural members of the Western Spirit, Scottsdale's Museum of the West, and are founding members of the Zeitz, Germany/Prescott Sister City Committee. Dennis was also a Trustee of the Phippen Museum of Western Art from 2006 until 2015, serving as Vice Chair for three years of his time on the Board. Currently, he is also serving on the Prescott Leadership Advisory Group.